Lie on an exercise mat with your knees bent so that your feet are flat on the floor. Raise one leg off the floor and bend your knee up towards your chest. This is the start position. Perform the exercise by pushing down through your other heel and pushing your hips up, raising your glutes off the mat. Continue until your hips are in a straight line with your torso. Hold for a count of one. 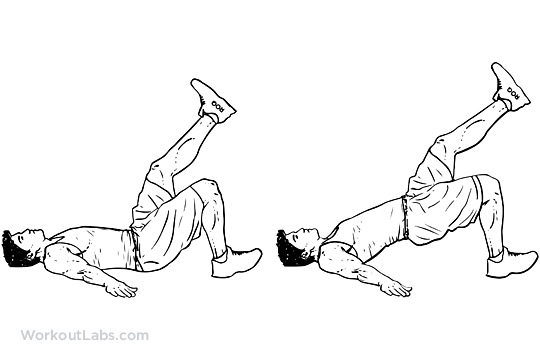 Return to the start position by lowering your hip to the floor. Complete all the repetitions for one set before changing legs.